we are located in Guangzhou city,Guangdong Province,China,Specializing in supplying game repair parts,accessories and iphone repair parts,accessories.These products has exported to North America,South America,Europe and Asia. We promise that our products quality is the best and provide the best service to our customers,our principle is "Keep creativity,Customer first"
We export products by DHL UPS EMS worldwide. Note: about the shipping cost,we will calculate and write it on each proforma invoice,the shipping cost include fuel surcharges, not include destination customs tariff, customs penalties,storage charges and returning expenses caused by recipients responsibility. We accept paypal,western union and bank transfer payment! 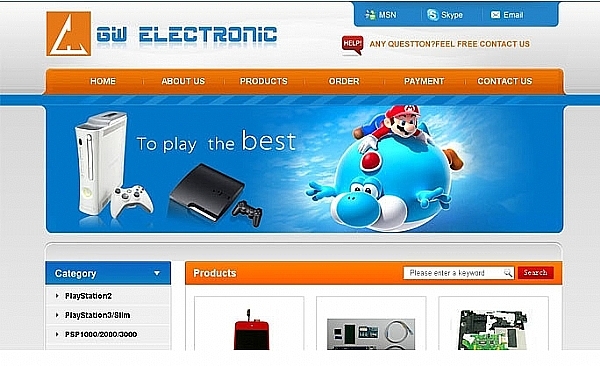 Welcome to visit our website,Please let us know what you need,we will contact you in time.